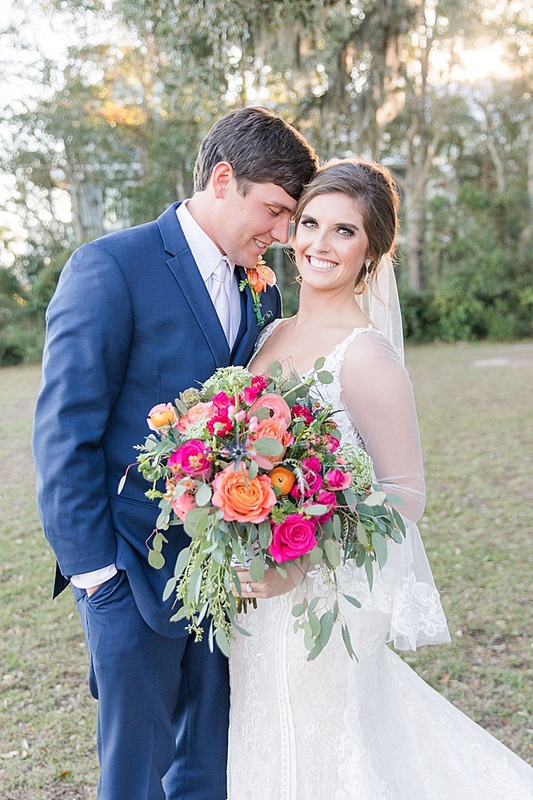 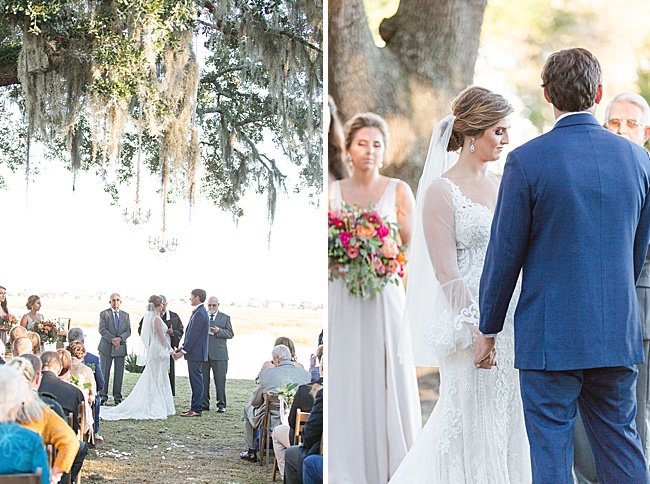 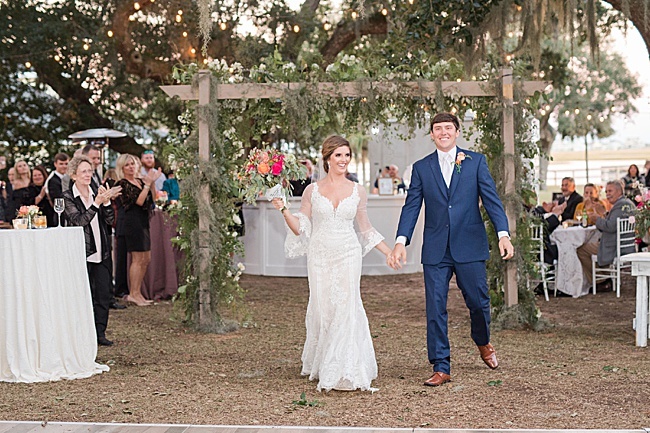 Emily and Sean met while working together at the Ocean Isle Fishing Center. 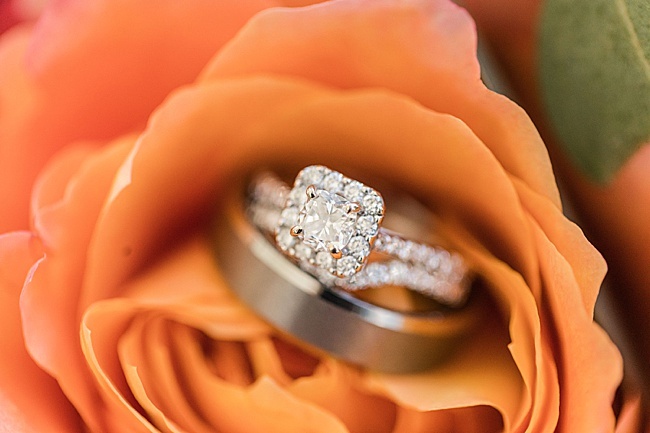 After five years as a couple, Sean proposed on a boat at sunset. 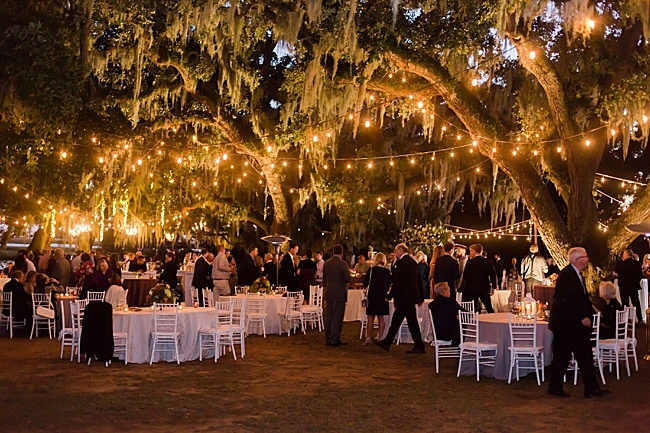 It was the eve of the Oyster Festival, one of the pair’s favorite weekends in Ocean Isle Beach. 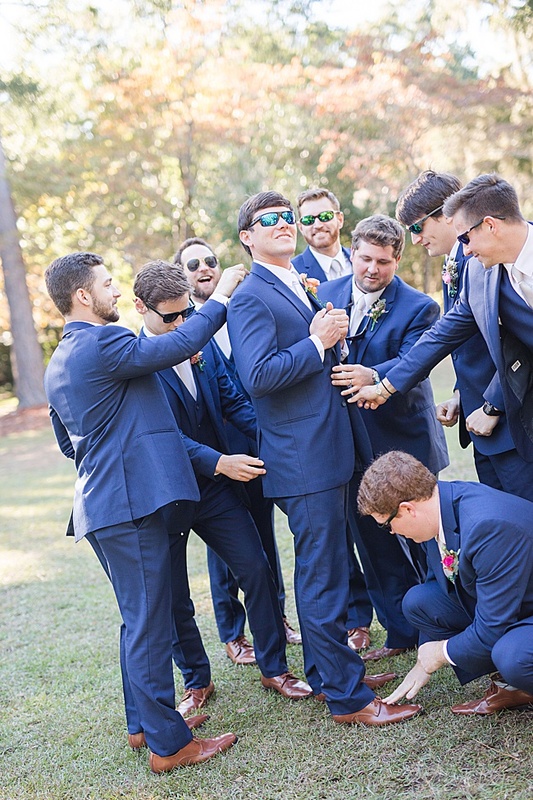 As a surprise, Sean had secretly invited all of their family and friends into town, so they celebrated all weekend long. 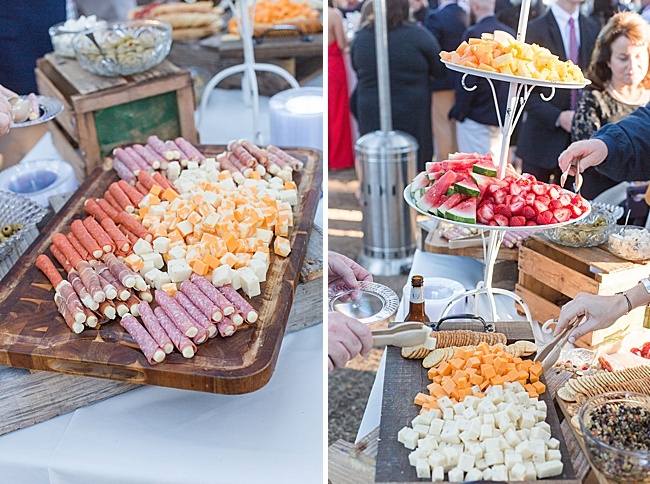 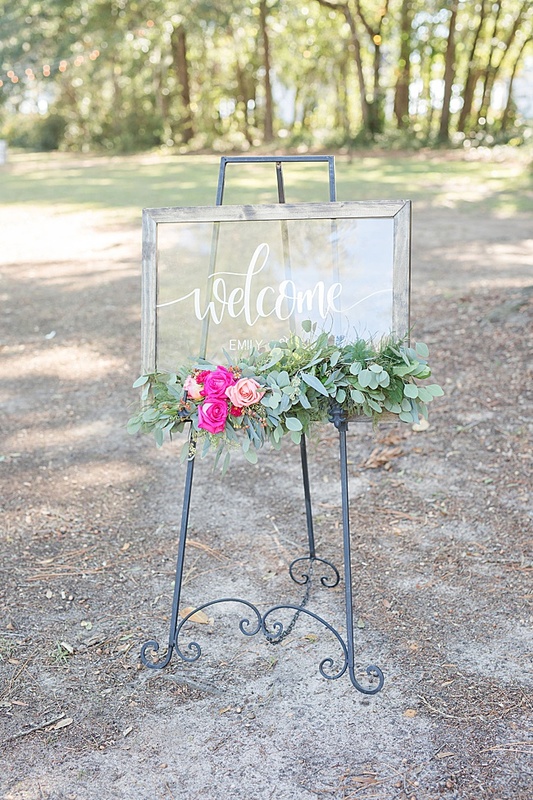 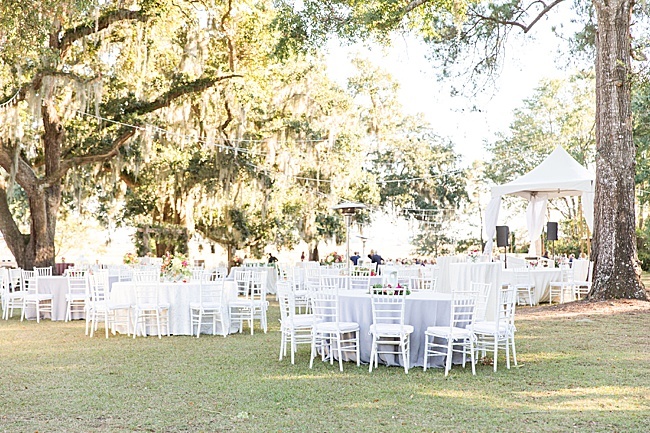 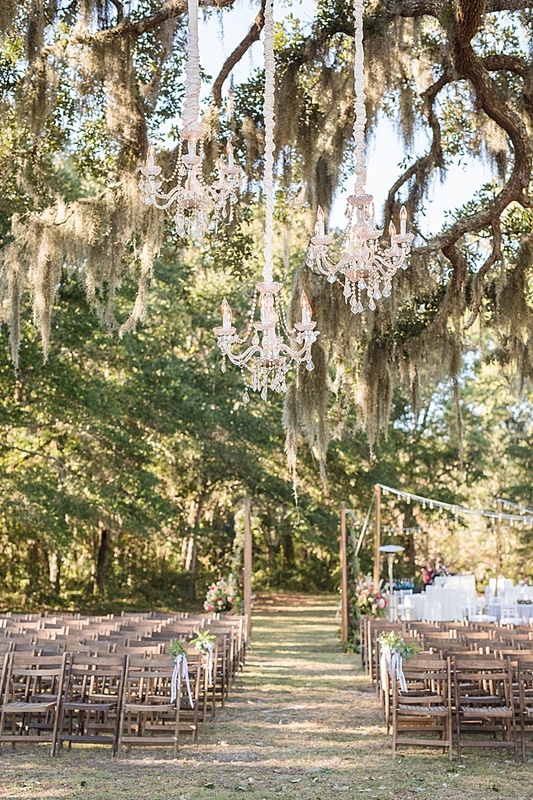 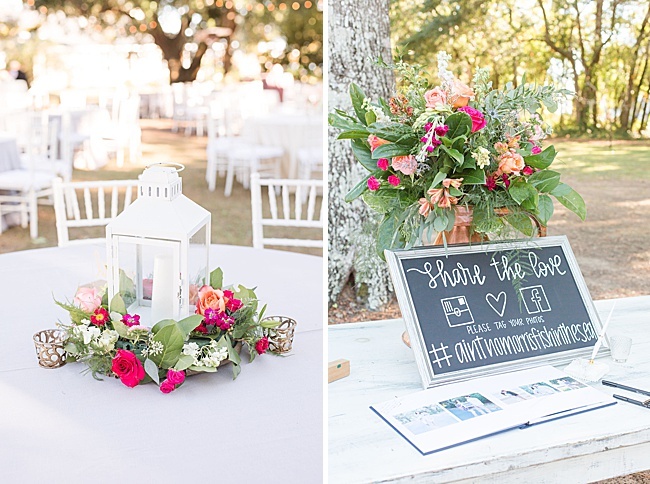 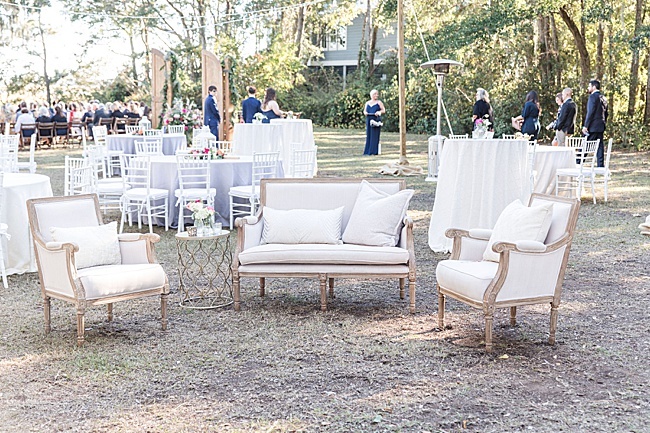 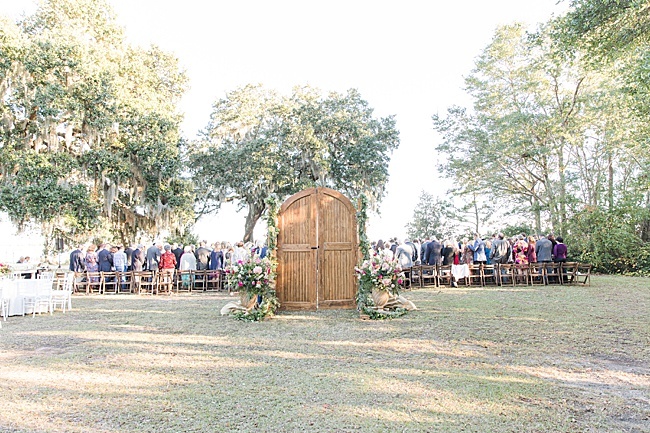 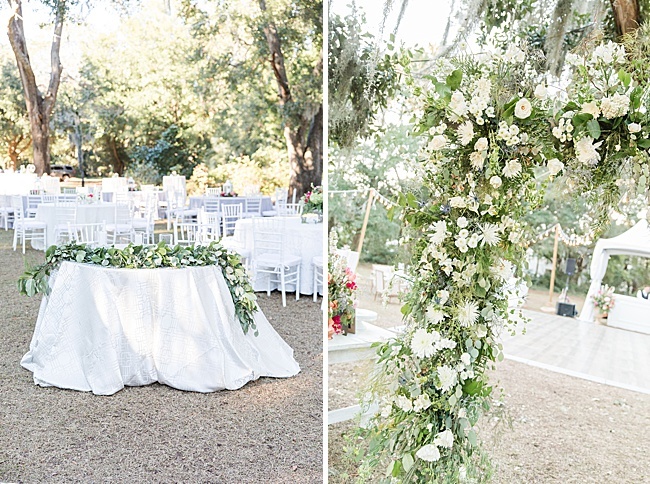 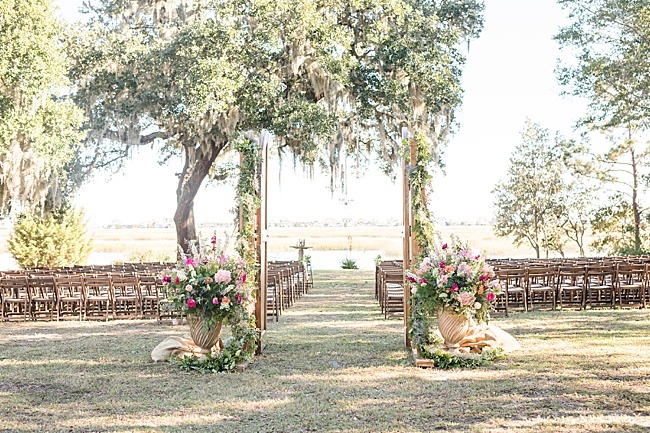 The wedding was held at Sunnyside Plantation in Murrells Inlet. 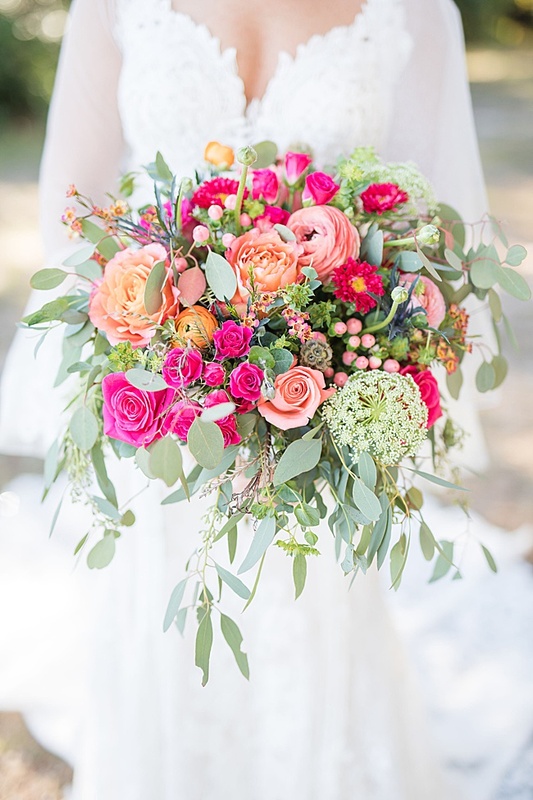 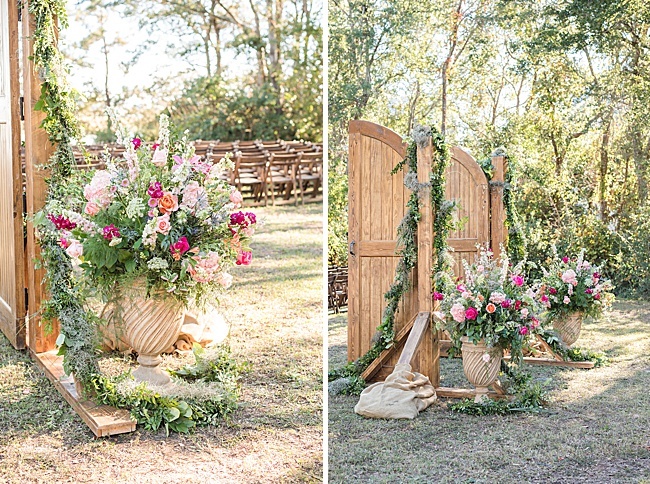 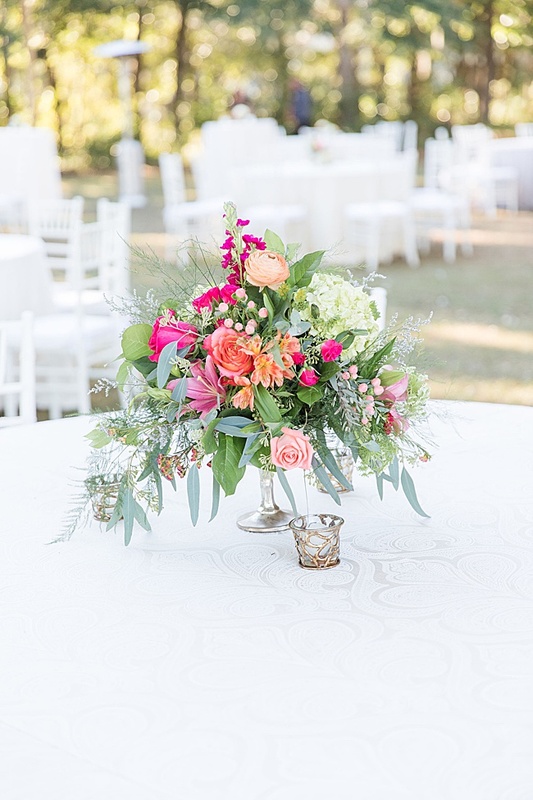 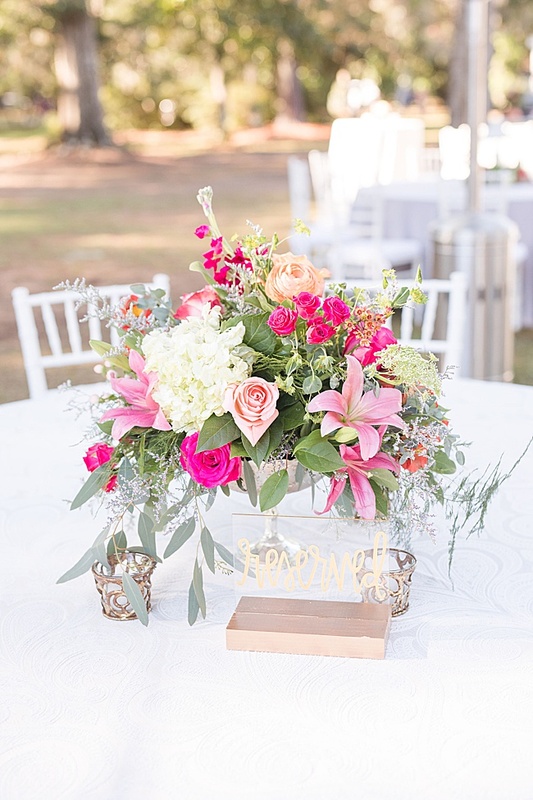 The theme was a little rustic boho, with a natural look featuring pops of bright color in the amazing flowers by Gigi Noelle. 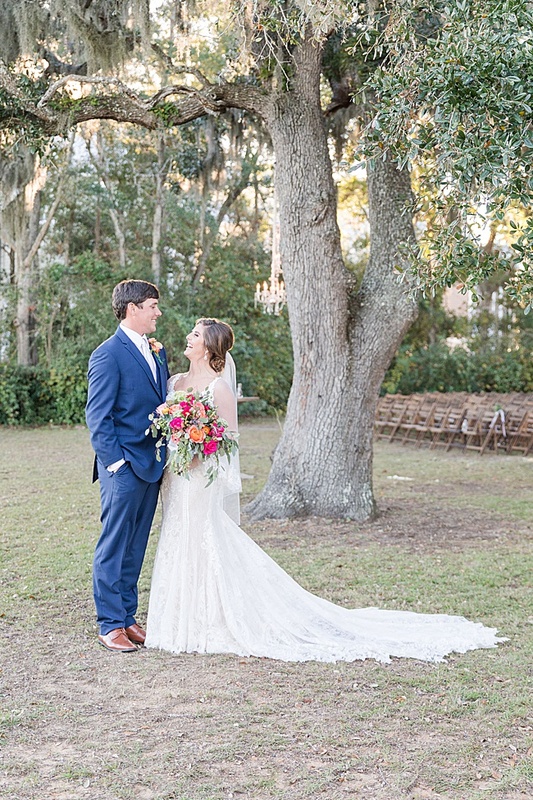 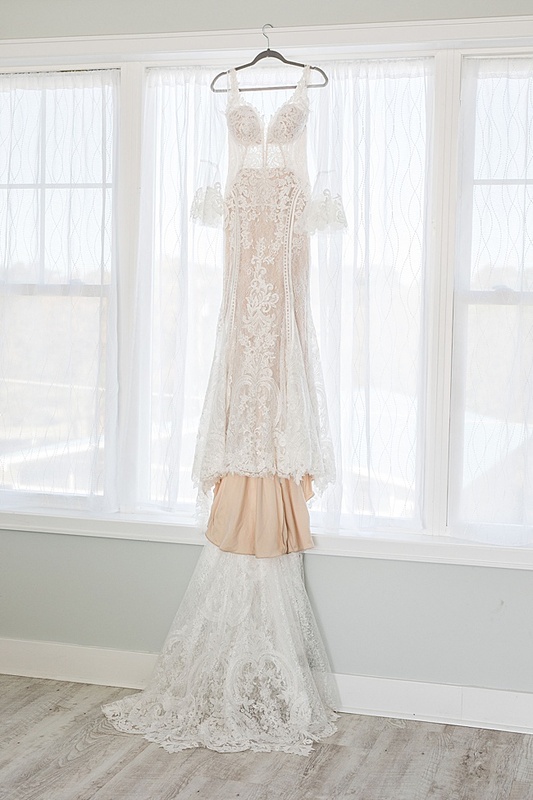 Emily was searching for her dream dress with the perfect balance of lace and bling, which she found at Coastal Knot in Wilmington. 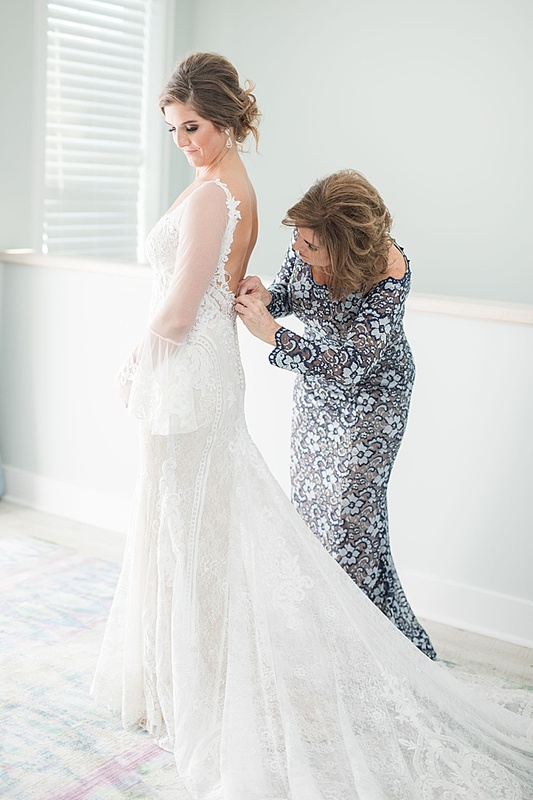 It was absolutely everything she wanted minus sleeves, so she had Laura Pridgen out of Whiteville, NC, add gorgeous bell sleeves to the gown. 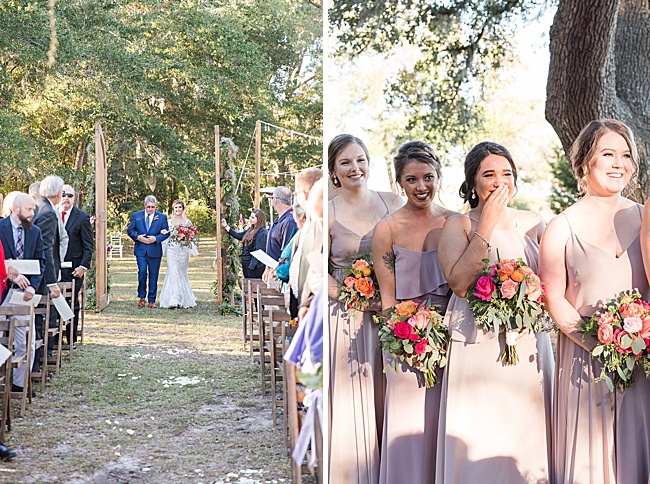 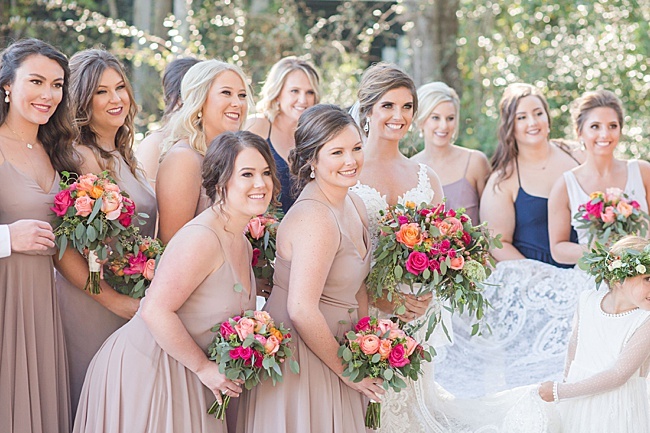 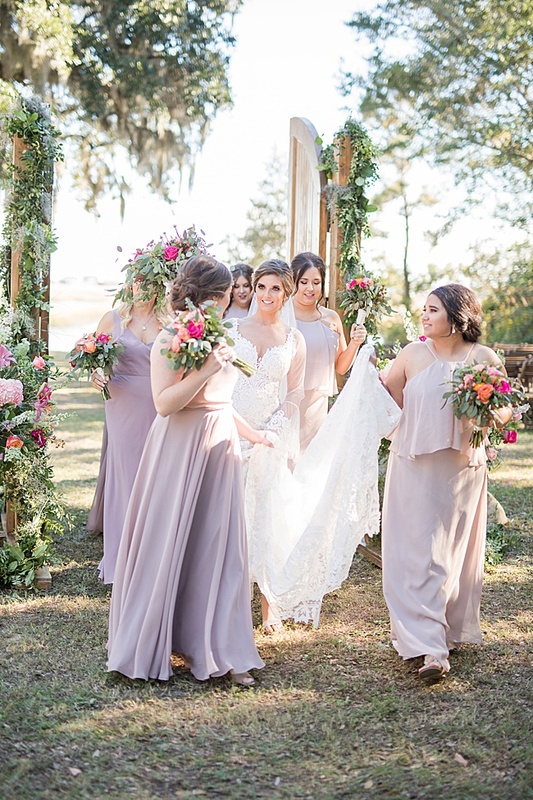 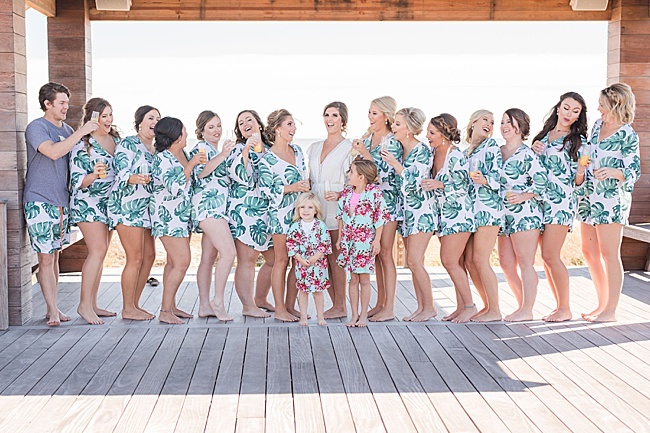 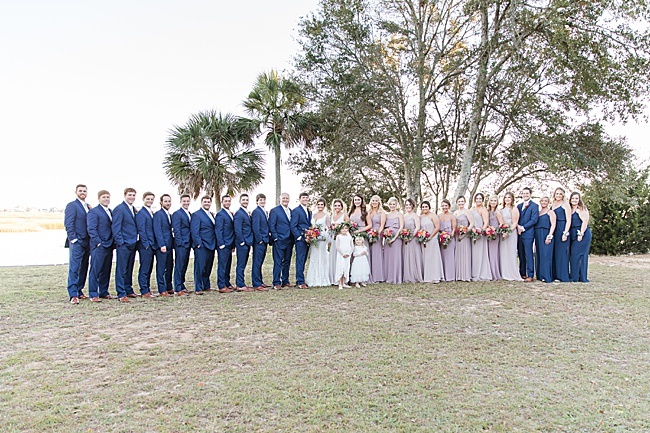 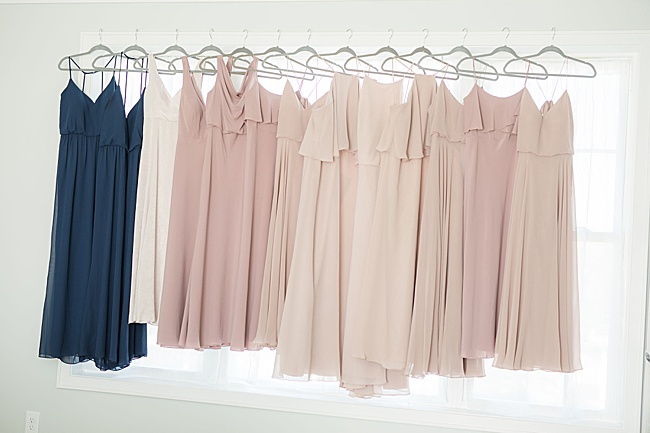 The bridesmaids wore different styles in a semi-neutral color scheme. 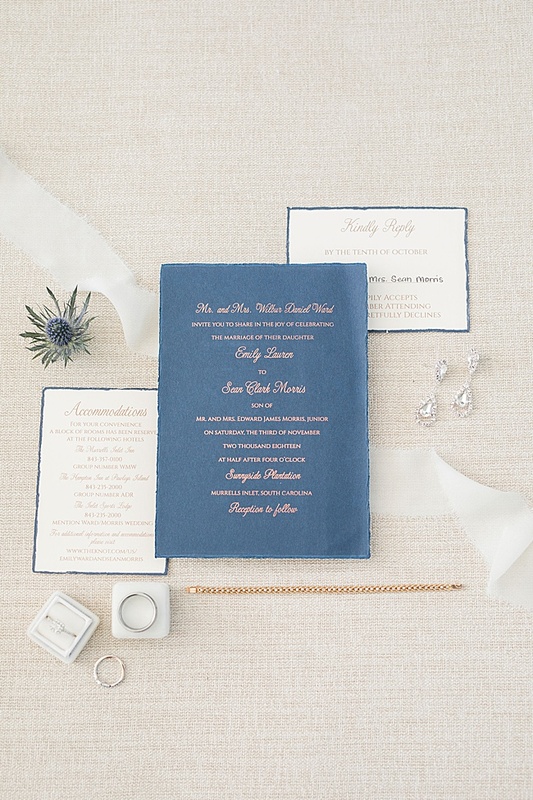 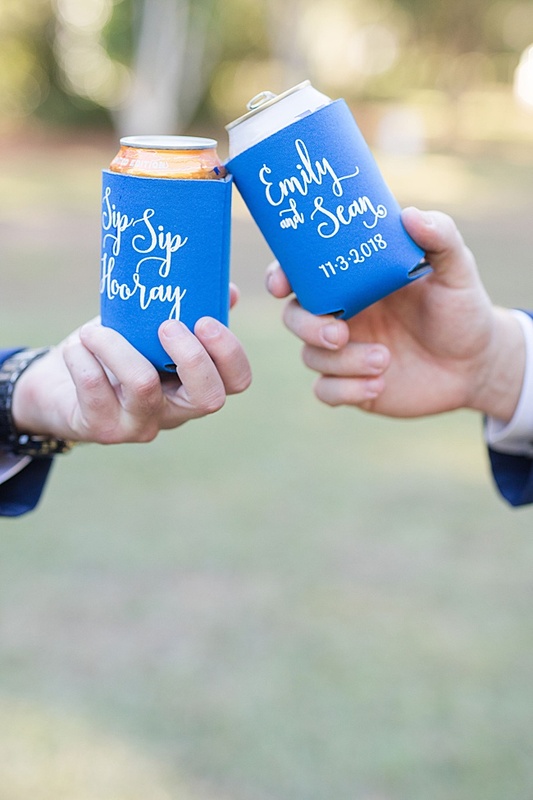 Ever since Emily saw Sean in a navy suit in a wedding they were both in previously, she knew he had to wear the color for their big day as well. 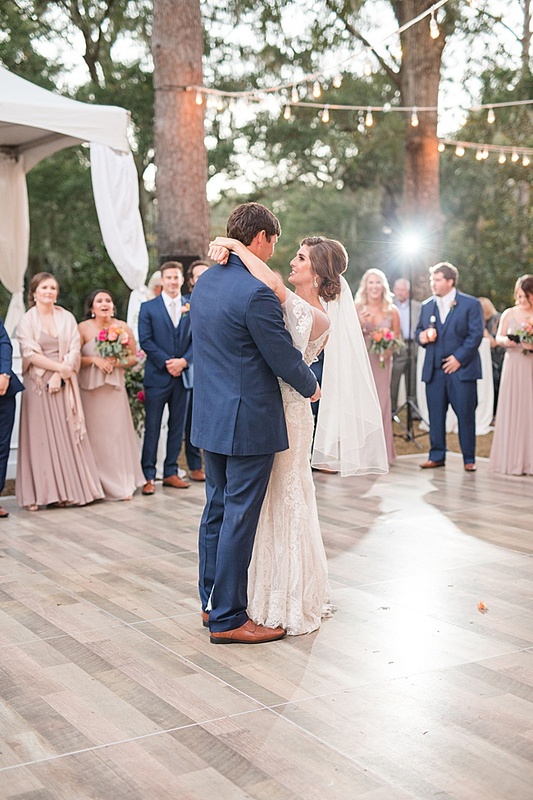 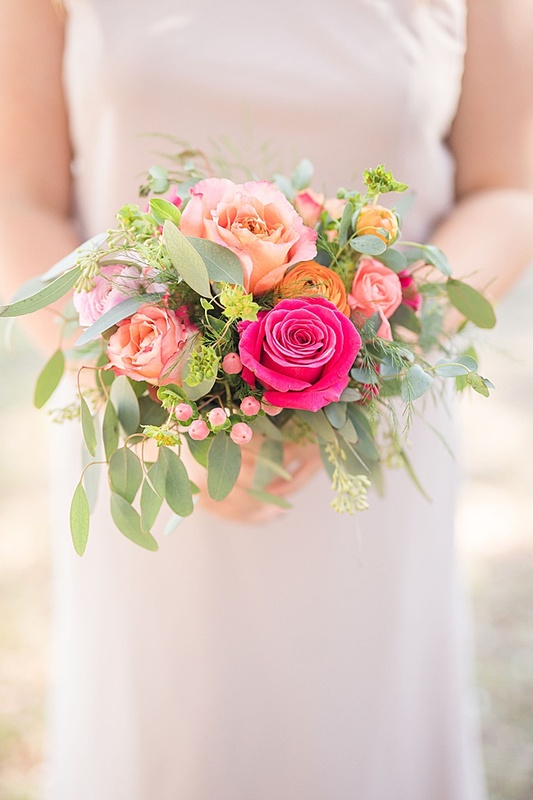 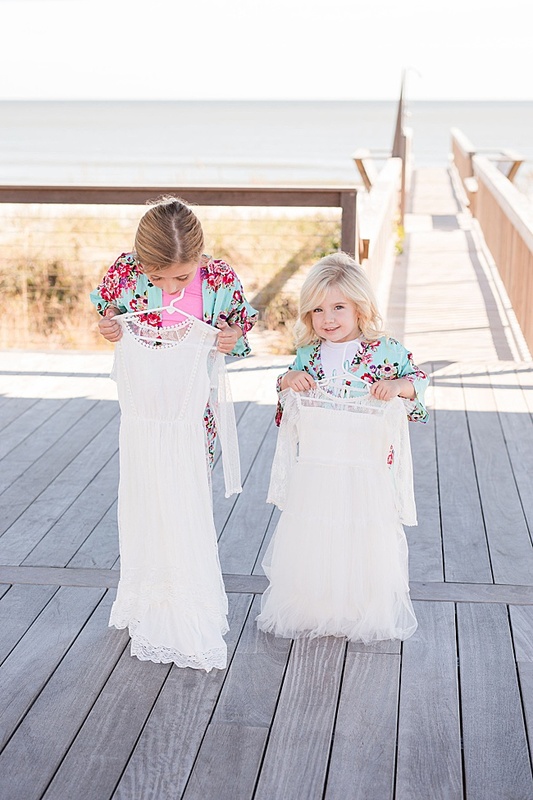 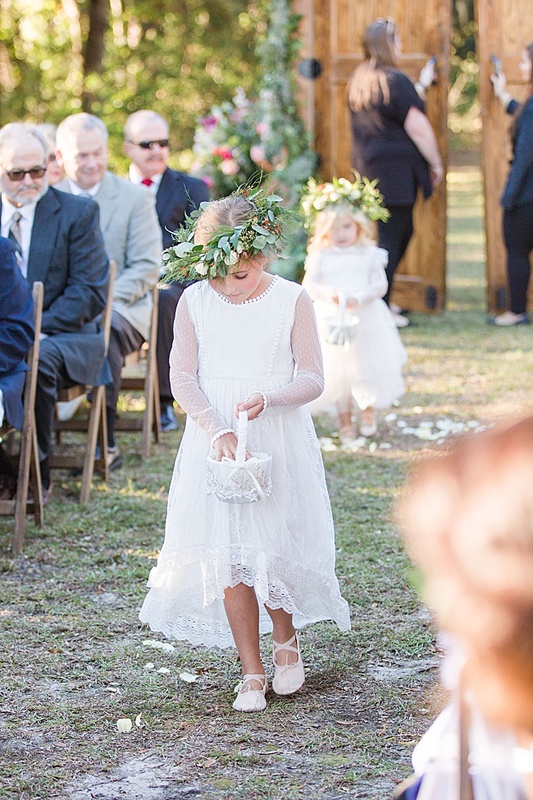 Hannah Ruth Photography captured all the special moments. 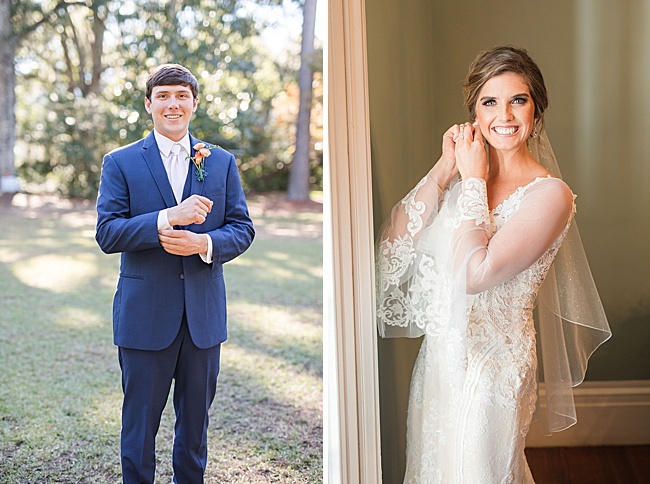 The couple’s grandfathers helped marry them, along with Emily’s childhood preacher, Steuart Link. 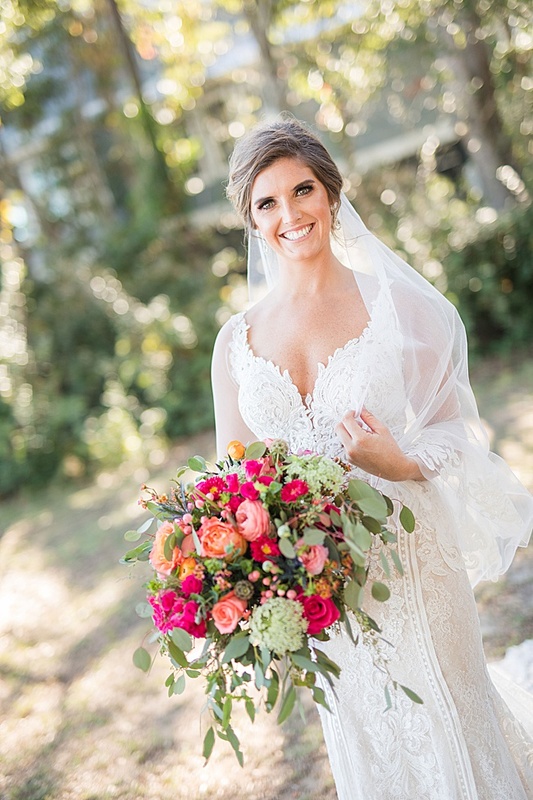 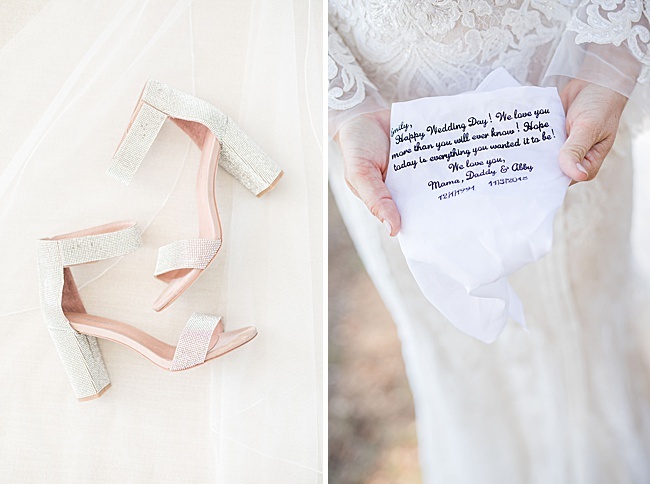 Emily wore her “Mumu’s” tennis bracelet and had her bouquet wrapped in a handkerchief (featuring a sweet note from her family) that was made from her mom’s wedding dress. 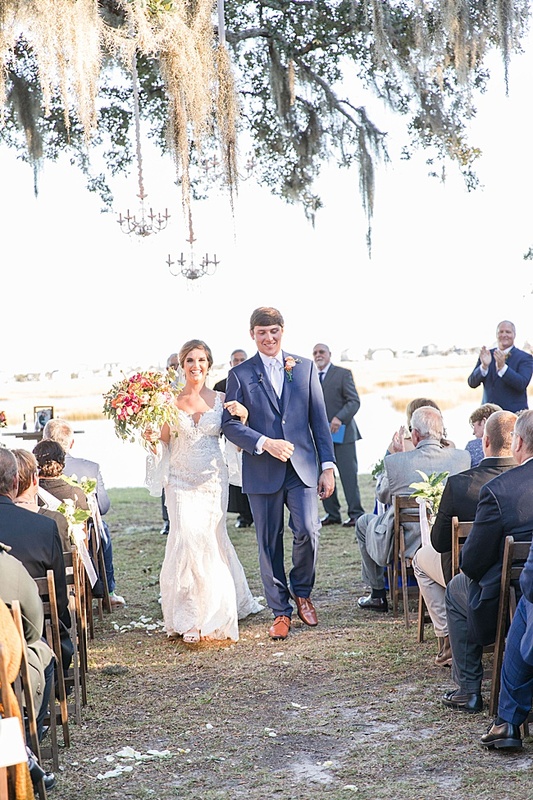 Sean has his captain’s license and likes to fish on the side, and the fish jumped just as they were announced husband and wife and had their kiss. 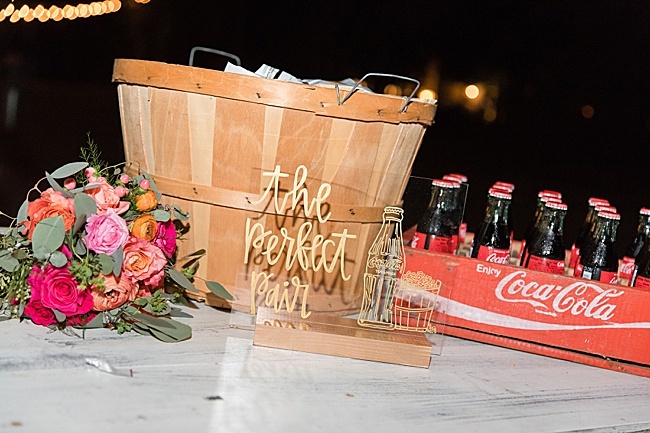 The cocktail hour featured two signature drinks—a Moscow mule and a Jack and ginger—which kept flowing into the night, keeping the dance floor full. 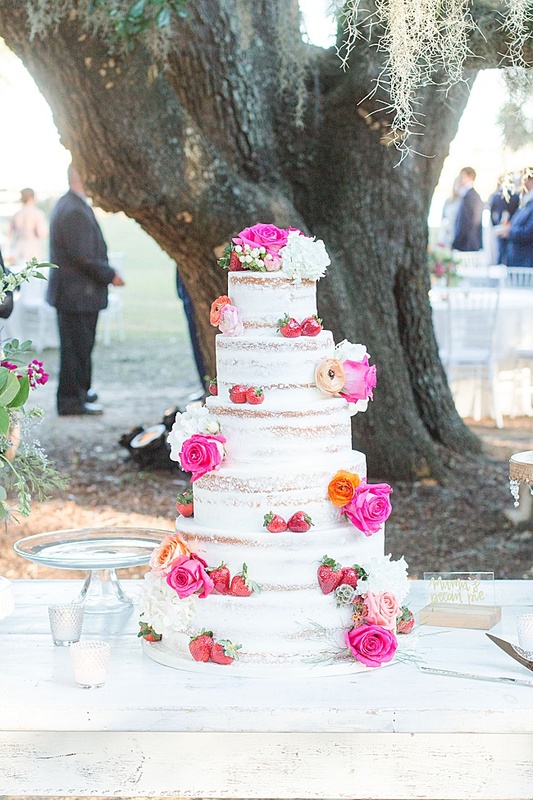 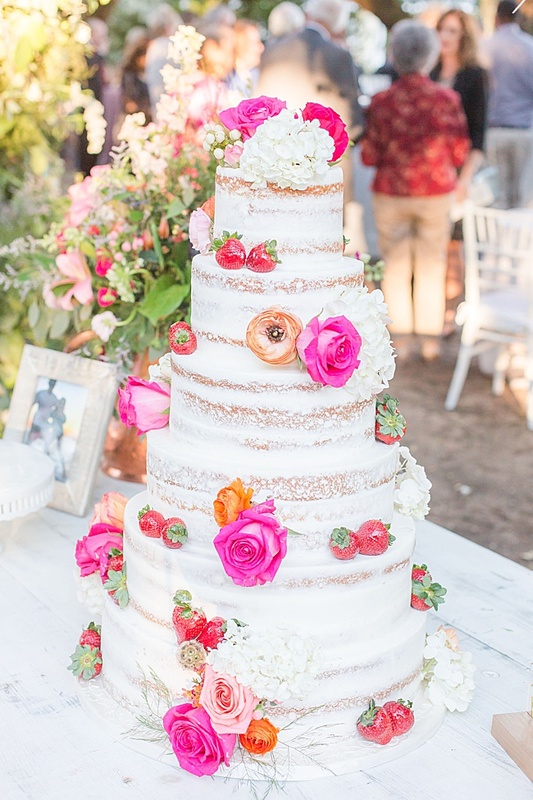 In addition to the gorgeous cake by Incredible Edibles, the couple had family recipes from their mothers and grandmothers, including pecan pie, 12-layer chocolate cake and Hershey Bar pie. 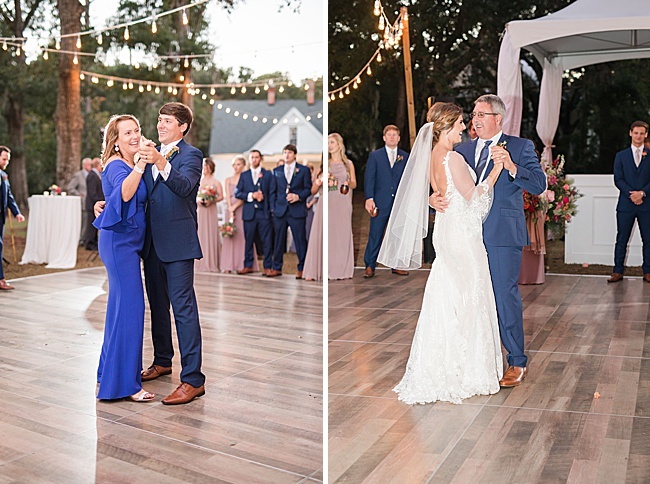 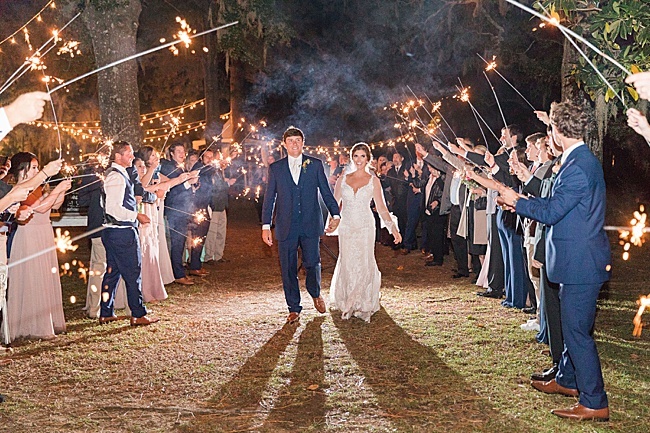 From the beginning, Emily wanted their wedding to be a night people would remember forever with good food and drinks and dancing the night away. 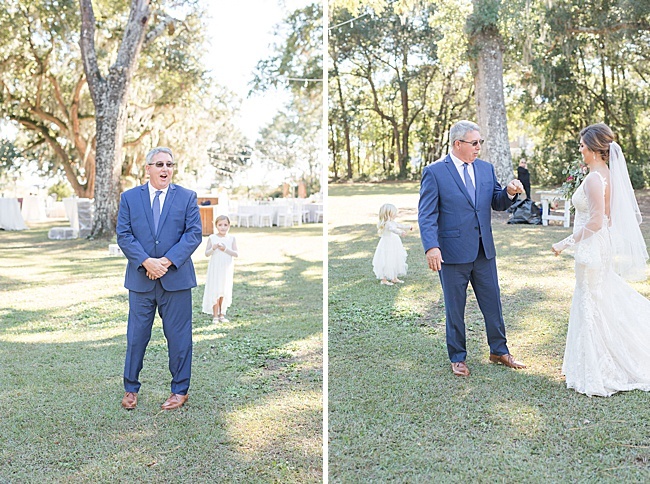 She definitely achieved this mission.